Alright. And this is not meant as a bad thing. 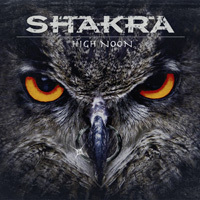 Shakra's tenth studio album High Noon is essentially Powerplay part two. Except for one difference. The band is reunited with former vocalist Mark Fox. The last time we heard from him was within 2009's Everest, which was the first Shakra album to get my attention. Before that I was mostly ambivalent. What we have once more with High Noon is Shakra's brand of heavy metal strongly infused with melodic hard rock groove and AOR sensibility. 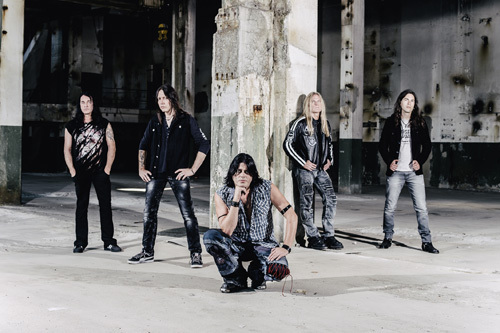 The core elements are a massive amount of twin guitar riffage, an equally bold and thick rhythm section, and Fox's melodic, but raspy vocals. After these things, there's lyrical and compositional hooks and an abundance of slick guitar solos. Then Shakra wraps all these things up in melody, harmony, and groove. It's heavy metal that you tap your toe to while banging your head. When these things work together, the band deals out some catchy metal tunes. Notable cuts include Stand Tall, Hello, Is It Real, Eye To Eye, and Raise Your Hands, definitely a power anthem suitable for arena rocking. Some additional songs require mention. One is Watch Me Burn, which has this tasty blues feel in the guitar start. Life's What You Need is the only ballad, and a power ballad at that, gentler than other songs but still heavy. Finally, take note of Around The World, thick with riffs and abounding with groove, it has this terrific guitar segue, just past the midpoint, again a melding of rock and blues. It's probably my favorite song here. There's much to be said for consistency, and with High Noon Shakra continues to find and follow their heavy metal groove. There's much to be said for consistency, and with High Noon Shakra continues to find and follow their heavy metal groove.